We had originally planned to climb Yushan in Taiwan in Nov, but the operator there told me Yushan will be closed till next year for restoration.. Actually, what happen is that the 1 and only lodge there is currently undergoing some renovations, and thus the whole mountain is closed to all visitors! Well, so where should we go then? Especially when I need to take that long compliance leave?? 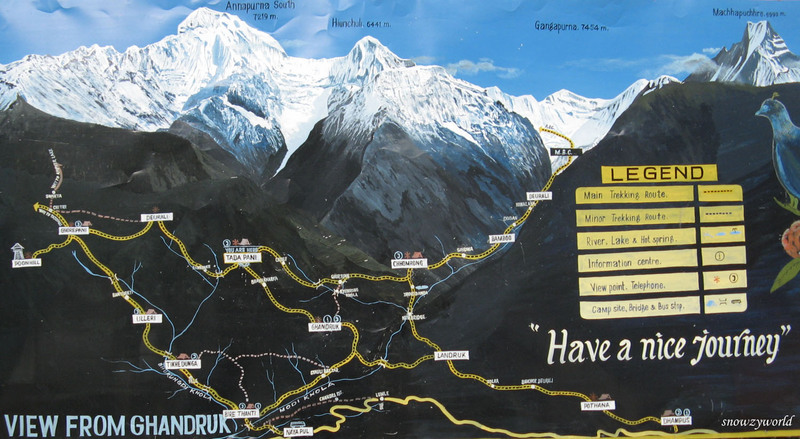 Jelyn suggested going to Nepal and do the Annapurna Sanctuary trek (aka Annapurna Base Camp, ABC). She went there few years ago and loves it to the maximum… Hmm.. not a bad idea. Kenn checked the air tickets to Nepal, Kathmadu.. the cheap promotion tickets from Silkair were all sold out! So popular?? Well, we’ve to settle for full priced air ticket from Thai Airway and transit via Bangkok. 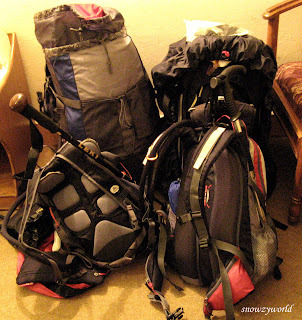 Since it's our 1st mulit-day trekking trip (11 days), gotta do some preparation work. Luckily, we've been active in swimming, running and Kenn even completed his Olympic distance triathlon so what's left was to go Bukit Timah Hill for some serious training. After looking at our calendar, we only had time to go there twice. On the 2nd trip there we climb up and down the killer stairs 3 times (not fun, but the stairs comparable to those in Nepal) and basically walk almost the whole of Bukit Timah Hill, trying to maximise the time spent in trail walking. Also heard that it would be super cold up in the mountains and so cold that you would rather not have any shower (although some teahouses do provide hot shower), Tim of Adventure Gear Post recommended us this antiseptic powder which we found in those ABC shop and we are all prepared for powder bath for the days in the mountains. Base layers, softshell jacket, gloves, heat pack.. even medicines for high altitude sickeness.. ok all ready to go….